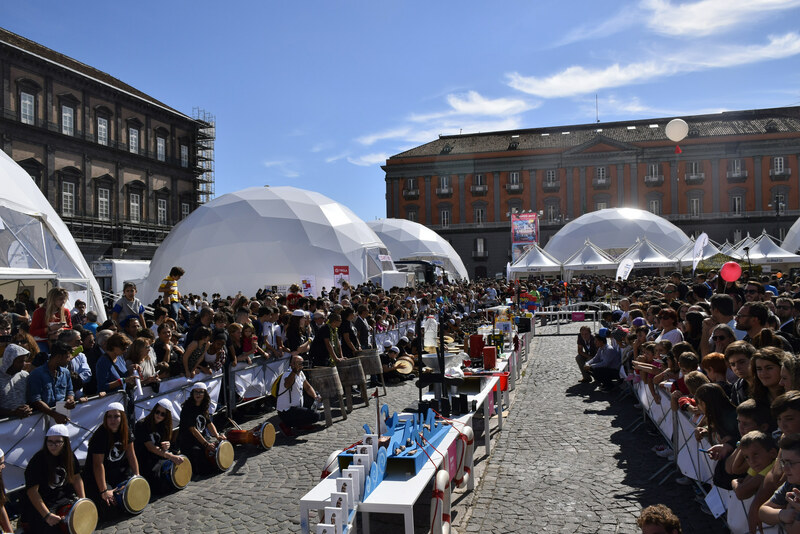 On Thursday, May 25th, at 10 am, in Piazza del Plebiscito, in Naples, officially opens Futuro Remoto 2017 – Connections. Filippo de Rossi, Campania Cur president , the Director of the Academy of Fine Arts in Naples, Giuseppe Gaeta, Legacoop National President Mauro Lusetti, the Chairman of the National Research Council, Massimo lnguscio, The Mayor of Naples, Luigi de Magistris, the President of the Campania Region, Vincenzo De Luca, the secretary of State at the Ministry of Education, University and Research, Vito De Filippo. Following the success of the 2016 edition, which has reached the record number of 230,000 visitors, the big science village will be dedicated this year to the theme Connections, because creating encounters and connections is the spirit that characterizes the whole event: a consolidated co-operation , Which is enriched at every edition, joining on one occasion the main actors of culture, research, science, university and local and national association. Awarded for the second consecutive year of the President of the Republic’s medal, Futuro Remoto also aims this year to strengthen the connection between science and society: every day from 10 am to 10 pm visitors will be able to attend conferences, workshops, debates, exhibitions and scientific demonstrations by young people, researchers and experts. Great scientific experts, university professors and young researchers will come out of their usual working places to move to the village of science at Piazza del Plebiscito and to confront the public.